The company paired HoloLens with the Maya Autodesk 3D modelling software during a demonstration Monday at its Worldwide Partners Conference in Orlando, Florida. Like previous HoloLens demonstrations, a Microsoft employee wore the HoloLens and controlled the software while a camera capable of showing holograms captured the scene for attendees. The demonstration didn’t give the perspective from a person wearing HoloLens. 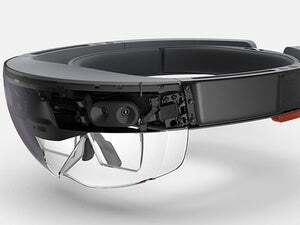 The product has been criticized for offering a limited field of view. 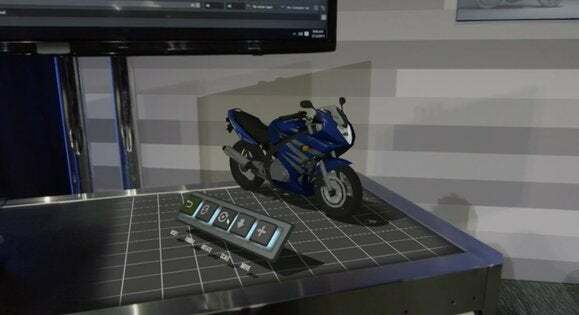 Using HoloLens, the Microsoft employee created a hologram of the motorcycle he was designing and rotated the 3D image and changed the bike’s color. Any changes made to the motorcycle in the software instantly appeared on the hologram. Creating holograms is a cheaper and faster alternative to the traditional method of creating 3D printouts of two-dimensional designs, Microsoft said. Designing a motorcycle with help from HoloLens isn’t exactly a new scenario. Microsoft depicted a similar scene in an animated video showing HoloLens in action earlier this year. But Monday’s demonstration showed HoloLens being used with a specific business application as well as some of the other things a designer can do with the headset. For example, the demonstrator, by saying, “real-world mode,” created a hologram of the changes made in the modeling software and overlaid it on a motorcycle in the real world. The ability to place 3D images over real-world objects separates HoloLens’ augmented reality from virtual reality, which immerses a person in a digital environment. This gesture (pinching all the fingers together and then opening the hand) seems to be used to trigger the HoloLens Start screen. If a co-worker made comments on a design created in Maya Autodesk 3D, HoloLens will play that note if a user wearing the headset wants it to show comments. It’s unclear of a person has to create an audio recording of the note or if HoloLens can read and recite comments that are text files. If the comments include design changes, HoloLens will instantly show the suggested tweak on the hologram that’s overlaid on an object. In another demonstration, Microsoft showed how apps built for Windows 10 will appear in HoloLens. The company has been plugging what it’s calling universal apps, software that will run on PCs, smartphones and other hardware, like HoloLens, with minor code adjustments. Users can customize a virtual workspace with universal apps, said Alex Kipman, a technical fellow at Microsoft’s Operating Systems Group who’s leading HoloLens’ development. 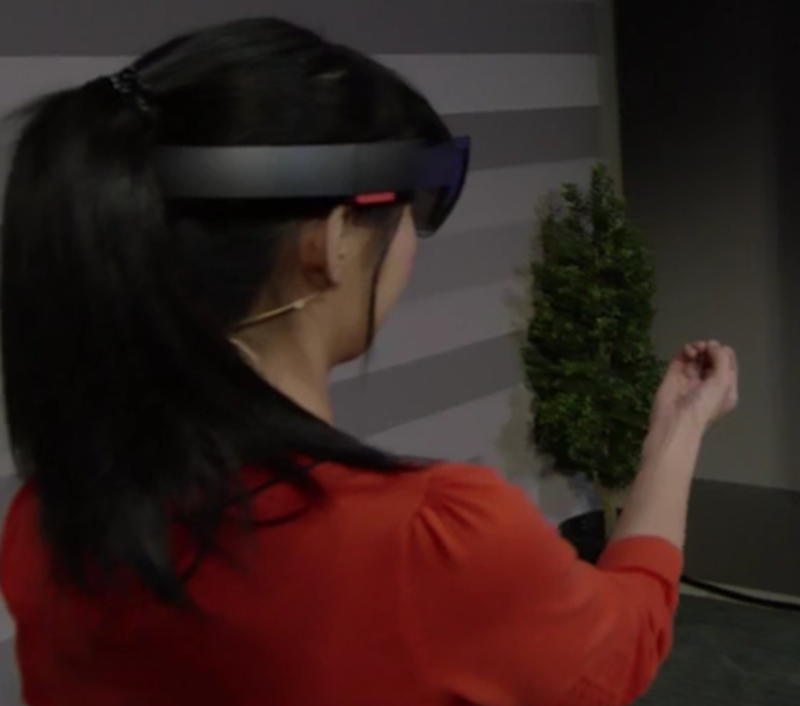 During the demonstration, a HoloLens engineer launched the apps by clicking on a hologram of a globe. Instead of a menu appearing, the apps showed up as holograms around a room that was set up on stage. Some of the apps appeared as panels, or in the case of a weather program, as a 3D image of a beach scene that was placed on a side table. The HoloLens engineer also launched a video app, placed it on the wall and watched a movie. After saying, “follow me,” the engineer had the app follow her as she walked around the room. Next, she placed the app on another wall and increased its size. Microsoft hasn’t offered pricing information for HoloLens or given an exact launch date, only saying it will be available during Windows 10’s lifetime.